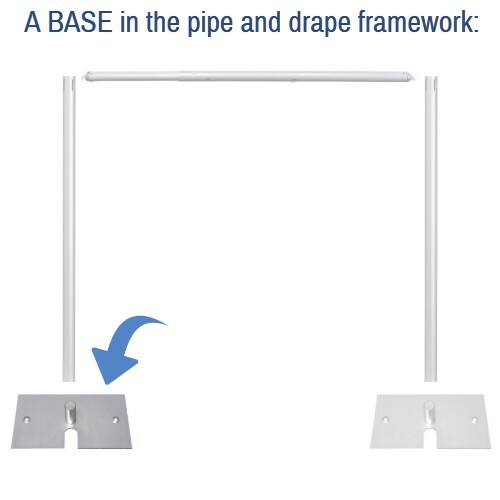 NOTE: THIS BASE IS MEANT FOR USE WITH OUR 3 FOOT TALL UPRIGHTS ONLY. Our taller uprights require heavier and larger bases. 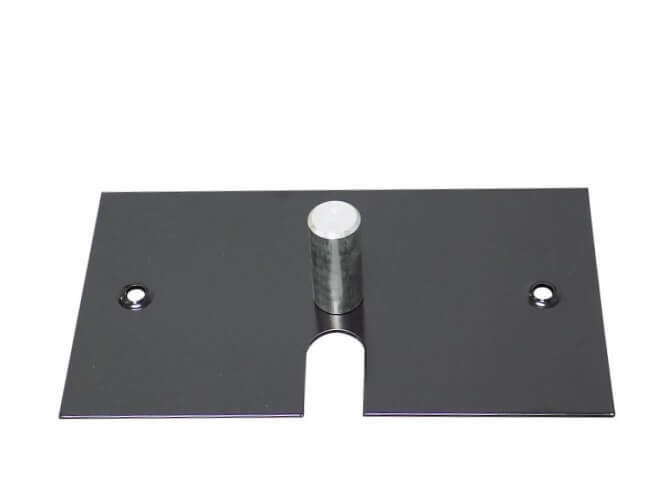 8 inch x 14 inch durable steel base with 3 inch tall base pin (for use with 1.5 inch diameter aluminum Uprights). 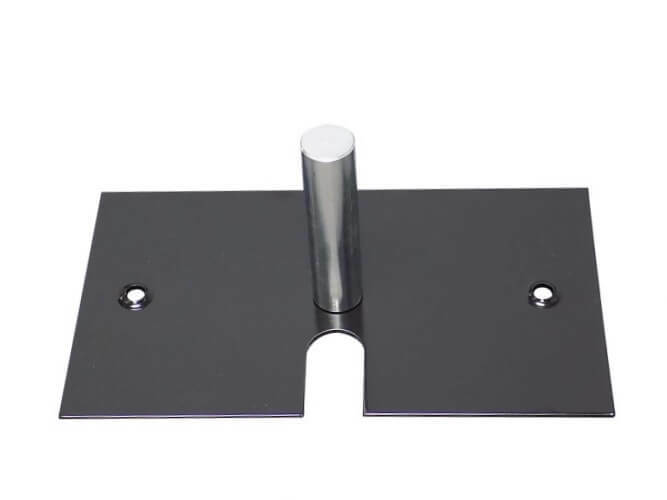 Optional upgrade to our 6 inch tall base pin for added stability. 6 lb. weight is approximate, with included base pin. Weight (Approximate, Each, with Included Base Pin): 6 lbs. 2 oz.